After finishing two variants of Banjaras face washes it was time to use a third variant i.e Banjara’s Oil Clear Multani + Neem Face Wash. This face wash was also a part of my haul from purplle.com. Multani mitti is amazing for skin and neem is good for acne and pimple prone skin but a combination of these two in a face wash sounded exciting to me. 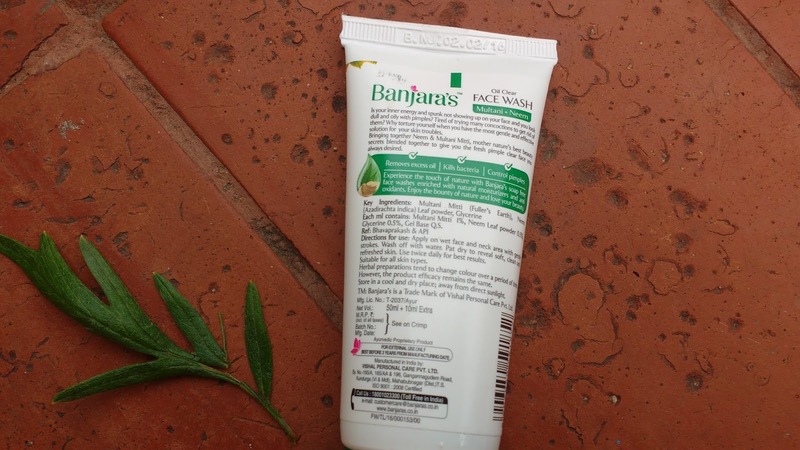 The Banjara’s Oil Clear Multani + Neem Face Wash comes in comes in a white tube with a dark green flip cap which shuts tight . 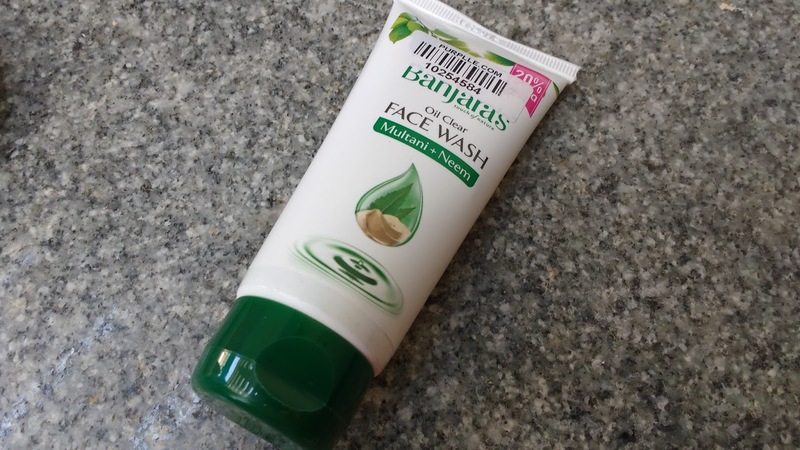 I love how face washes from banjaras and small and cute making it ideal to travel around with. 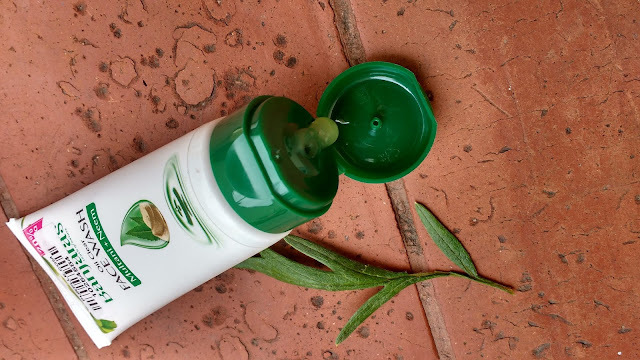 Neem face washes are good for oily acne prone skin but I have dry skin and the neem smell gets a bit too much for me so I go for fruity kind of face washes. I brought this face wash because it had multani in it. This Face wash clearly says oil clear and it is best suited for oily skinned beauties. The product is gel like green in colour and gets applied smoothly on face. There is a herbal neem smell which is fresh but not too strong to irritate sensitive noses. There isnt much lather but it gets washed off easily and you are left with a squeaky clean and a fresh feeling. I tried this face wash in the evening when my face was dull and my T zone oily and I was amazed at how nicely it removed the oil without drying out my skin. I feel the results will be better when used on oily skin. The face was is good for oil control and girls can use it for summer but for winter ofcourse dry skinned girls will need a more hydrating face wash. I would recommend recommend girls with oily skin definitely give this face wash a try and if you are someone who has combination skin even then this will work nicely for you. If you like neem in your face wash then this is a very good option. 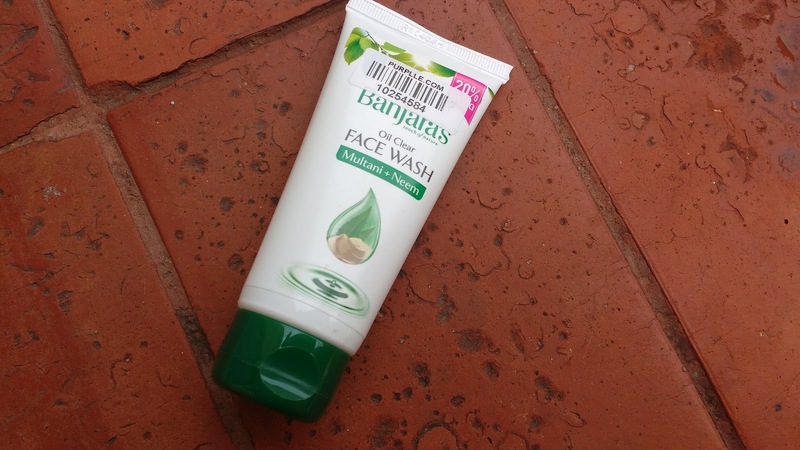 Oily skinned beauties should definitely give this pocket friendly face wash a try. Have you tried this face wash from banjaras?